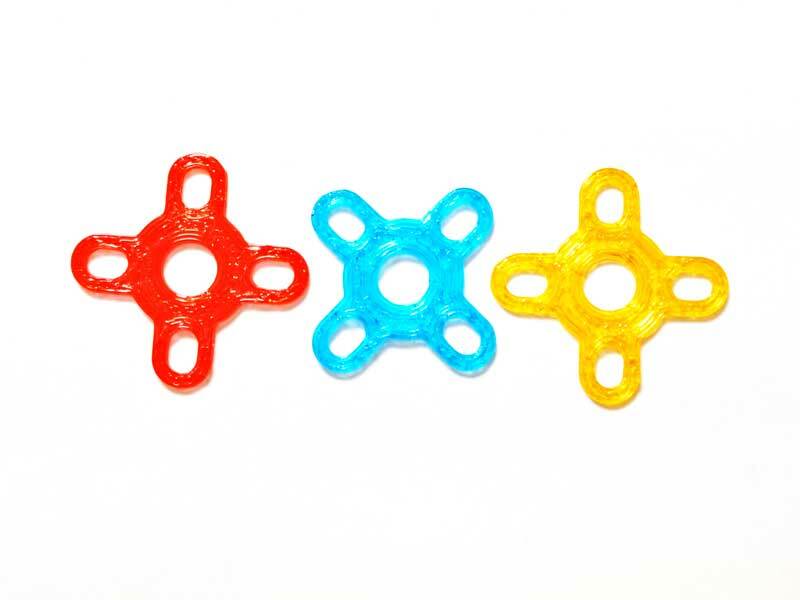 Soft motor mounts made out of TPU. These have been effective in dampening motor generated vibrations that can cause problems for control boards. The TPU mount is sandwiched between the arm and motor. 1mm thick will fit any 22-24xx motor with standard 16x19 M3 mounting holes. Depending on your arm thickness, you might consider using longer screws. We recommend 2mm of screw depth into the motor mount but some motors have very little tolerance for exceeding that before hitting motor windings. e.g. if you have a 4mm arm you'll want an 8mm screw but need to be careful or use washers. 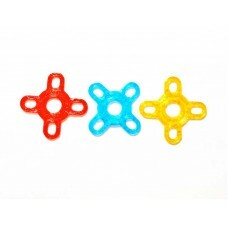 Contains 1 set of 4 pieces, total weight <1g.